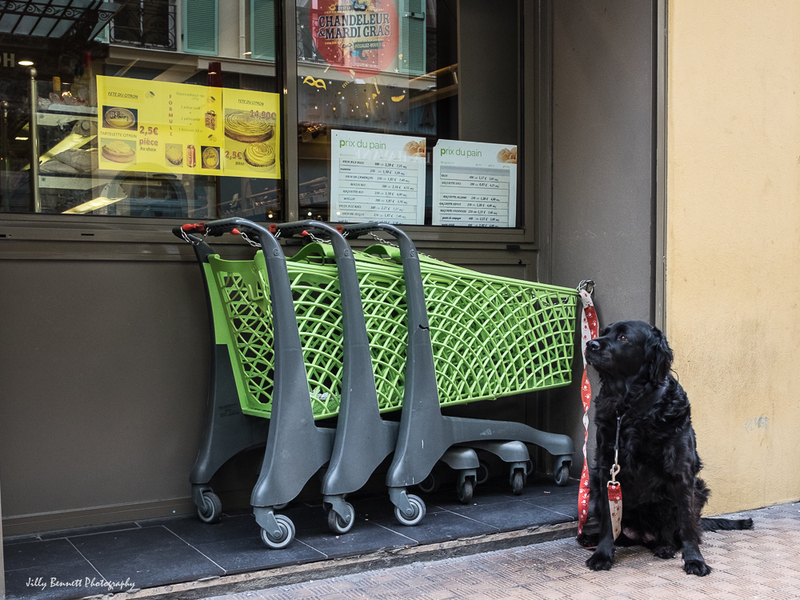 This faithful dog wouldn't take his eyes off the entrance to the supermarket as he waited for his owner to appear. That's one of the key attributes of dogs that make us fall in love with them. A sweet and expectant face. Another waiting pooch! Kate is right. I was checking for more friend's blogs as I passed this one again and noticed (in addition to the pooch, the color of the three grocery charts. How could I have missed them before? !